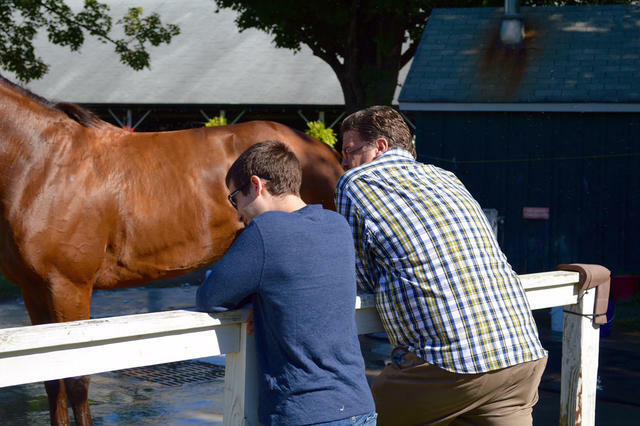 The Romans family is synonymous with success at Churchill Downs. The late Jerry Romans was a popular trainer from Louisville and his son, Dale, is Churchill Downs’ all-time leading trainer. Now, Dale’s son, 22-year-old Jake Romans, is adding to the family legacy as a jockey’s agent representing top riders Robby Albarado and Channing Hill. Jake graduated from St. Xavier High School in Louisville but was still unsure what he wanted to do for his career. After Jake graduated from Sullivan, he enlisted the help of veteran agent and longtime family friend Richard DePass, who represents jockey Luis Saez. 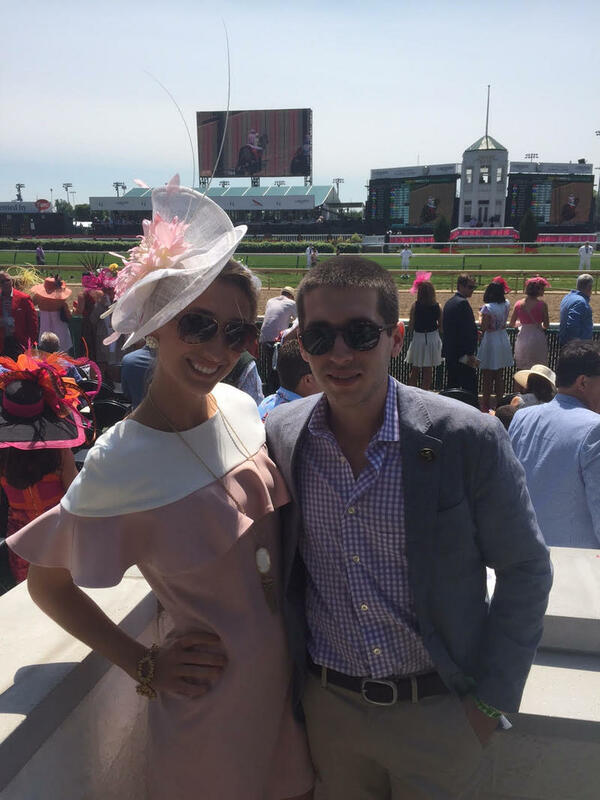 Jake began his career as an agent in April, representing Hill at Keeneland. Hill reeled off 11 victories at the Churchill Downs Spring Meet with $415,622 in earnings. But, in July, Jake got the first big break of his career when veteran jockey Albarado needed an agent. Albarado has won 5,151 races throughout his 28-year career, including seven Grade I victories from Romans’ barn. HOWARD TARGETING ACK ACK FOR LECOMTE STAKES WINNER GUEST SUITE – Will S. Farish and Lora Jean Kilroy’s four-time winning colt Guest Suite breezed five furlongs in 1:01.40 inside of stablemate Sportswear (1:02.80) Saturday morning at Churchill Downs and is likely to make his next start in the $100,000 Ack Ack (Grade III) on Sept. 29. Guest Suite most recently finished third in the July 14 Michael G. Schaefer Memorial at Indiana Grand behind Pioneer Spirit (trainer Brad Cox) and Seeking the Soul (Dallas Stewart). Both Pioneer Spirit and Seeking the Soul are possible to run in the Ack Ack, according to their respective trainers. A 5-year-old homebred son of Quality Road, Guest Suite was once on the “Road to the Kentucky Derby” after recording a 1 ¼-length victory in the 2017 LeComte at Fair Grounds. The colt has a record of 15-4-1-4 with $307,940 in purse earnings. Another likely Ack Ack entrant is Kelly’s Landing winner and Forego Stakes (GI) fourth C Z Rocket for trainer Al Stall Jr. The Florida-bred son of City Zip worked a half-mile in :49.20 Saturday morning at Churchill Downs. DOWN THE STRETCH – Two carryovers highlight Saturday’s 11-race program – the 20-cent Single 6 Jackpot ($16,904, Races 6-11) and the $1 Super Hi 5 ($4,726, Race 11). First post is 12:45 p.m. … Jockey Edgar Morales, who was involved in a spill on Friday afternoon’s program at Churchill Downs, is scheduled to return to the saddle Saturday, according to agent Julio Espinoza. … Bring the family to Sunday’s “Be Creative” Family Adventure Day presented by Kroger for an affordable day of fun and horseracing for the whole family. Churchill Downs’ partners will be on site to keep the kids entertained all day with a range of fascinating arts, crafts and science activities. Tickets start at $8 and can be purchased on www.churchilldowns.com. … The podcast of Friday’s episode of “Inside Churchill Downs”, which aired on ESPN 680/105.7 is available here: https://bit.ly/2NZv2cy. The one-hour broadcast featured trainers Brad Cox and Buff Bradley along with TwinSpires.com handicapper Ed DeRosa. … Happy Birthday wishes are extended to trainer Norm Casse (35) and bugler Steve Buttleman (54).